If you suffer a traumatic shoulder injury during sports, you certainly want to recover quickly so that you can play again. When could your injury need surgery? If you can get better without surgery, is there a risk of reinjuring it or never getting back to 100%? In this Ask Dr. Geier video, I discuss the challenges young athletes have after suffering a shoulder dislocation. Recently I got my shoulder dislocated while fighting, so I want to know how long it will take to get completely strong. Is there any worry about another shoulder dislocation in the future? Am I eligible to fight again in the future or not? A shoulder dislocation – popping the ball out of the socket, so to speak – might not seem like a serious injury. You go to an emergency room and have a physician put it back into place. Can you go right back to sports? Young athletes often have recurrent shoulder dislocations or feelings of instability after a first-time shoulder dislocation. They often tear the labrum and stretch out the capsule that surrounds the shoulder. As orthopedic surgeons, we are more likely to at least offer surgical treatment to repair the labrum and tighten the capsule to stabilize the shoulder. In this video, I explain the options for an athlete after a shoulder dislocation and the process of returning to sports. 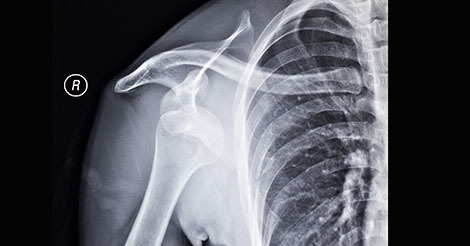 When should you get an MRI for a shoulder dislocation?